Dan, with paralegal Irma Tharp, FRP (right) and administrative/legal assistant Arlhette Zuniga (left). AV Rated by Martindale Hubbell - Highest Rating in Legal Ability and Ethical Standards. Dan, the founding partner of Daniel K. Bandklayder, P.A., is a seasoned trial lawyer with over thirty-five years of experience litigating complex commercial, bodily injury, motor vehicle accident, construction, and general negligence claims, representing both claimants and defendants in state and federal courts throughout Florida. 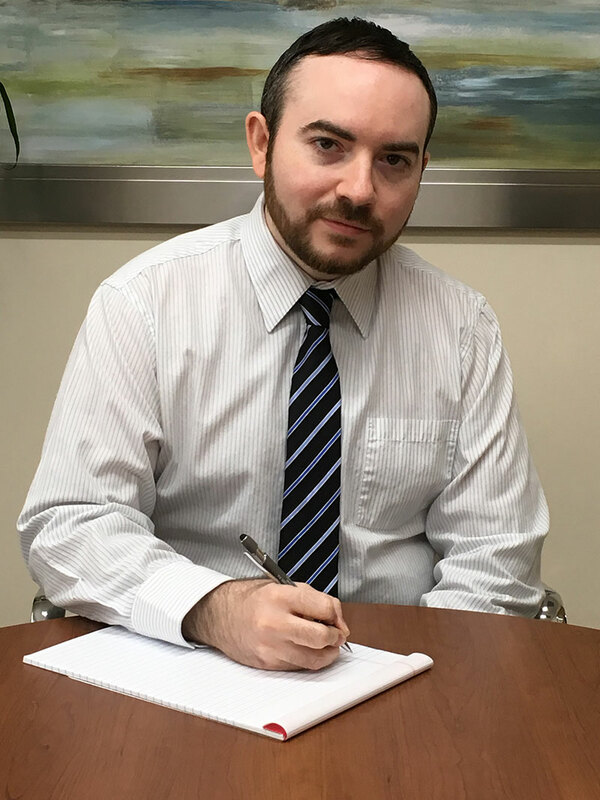 Dan also enjoys helping businesses and individuals in connection with their day-to-day legal matters. 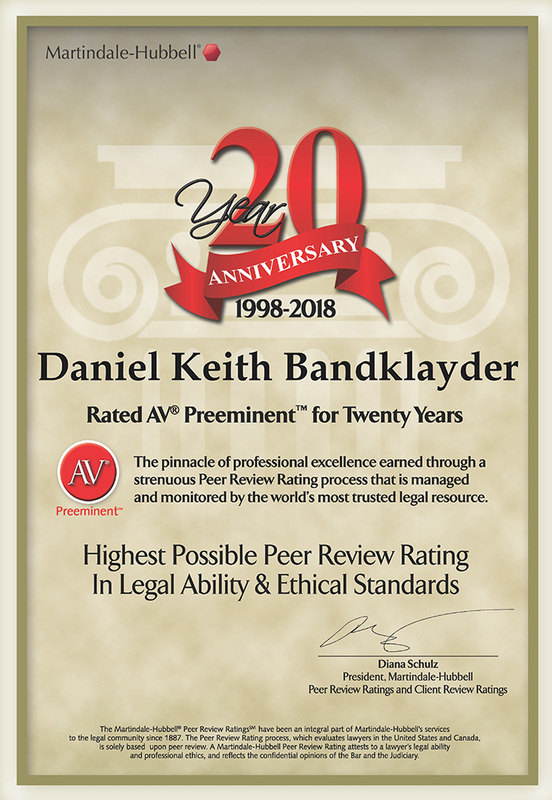 Dan is rated AV Preeminent™ by Martindale-Hubbell® (Highest Rating: Legal Ability and Ethical Standards), a rating he has held continuously for over twenty years. Dan is a former Director of the Dade County Trial Lawyers Association; an FAA licensed, instrument rated private pilot; an avid motorcyclist and classic car enthusiast; and a member of the Aircraft Owners & Pilots Association, Harley Owners Group, and Antique Automobile Club of America. Dan’s wife, Carolyn, is also an attorney. Carolyn is a former felony prosecutor and currently serves as Judicial Staff Attorney for the Broward County Circuit Court, Criminal Division. Dan and Carolyn are active fundraisers for and supporters of Boston Terrier Rescue of Florida and several other animal rescue organizations. Dan obtained his undergraduate degree from the University of Miami in Coral Gables in 1976 and his Juris Doctor from the University of Miami School of Law in 1979. 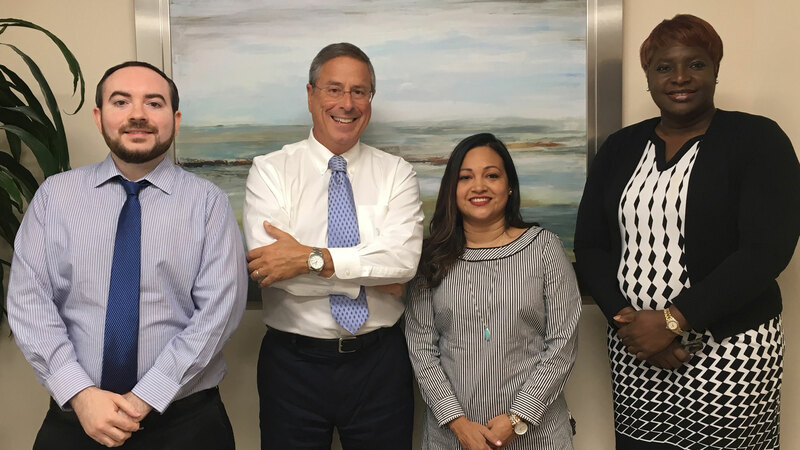 He has been a member of the Florida Bar (Trial Lawyers Section) since 1979 and is a member (and former Director) of the Miami-Dade Trial Lawyers Association. Dan has litigated cases in state, federal, and appellate courts throughout Miami, the Florida Keys, Fort Lauderdale, Palm Beach, St. Lucie County, Orlando, Volusia County, Tampa/St. Petersburg, and Tallahassee.